Watching a film is one of the simplest pleasures of the modern era. Almost everyone enjoys watching a good film and with so many genres to choose from there really is something for all tastes. It’s sometimes a tough one deciding on a theme for a celebration party, or even just the theme for a special celebration cake. If you’re struggling to pin down an idea, why not have a movie-themed party and celebration cake? There are so many fantastic films with awesome characters and costumes. Everyone has a favourite film and who doesn’t love an opportunity to dress up as their all-time favourite character. And what could be better than topping off the occasion with a custom-made cake to fit the occasion. At Cakes by Robin we are always looking for the next challenge to make a truly magnificent cake. Quirky ideas in cake form are what we do best and taking Hollywood to the kitchen is something we love to embrace. 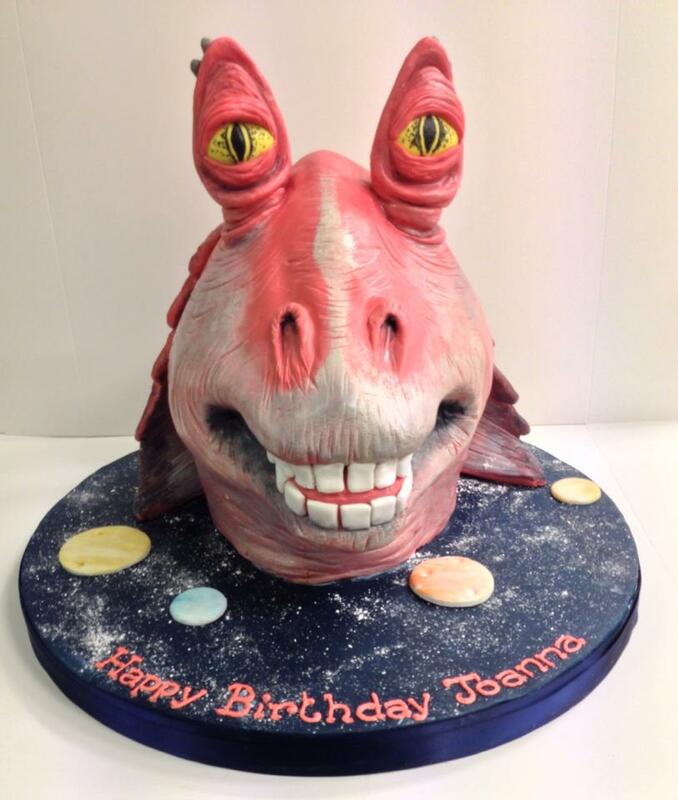 Whether it’s an intricate cake replica of the infamous Star Wars Millenium Falcon or a cake model of Jar Jar Binks (yes we really have done that one), whatever your film passion it’s a cool party twist to bring your film scene or character to life in cake form. 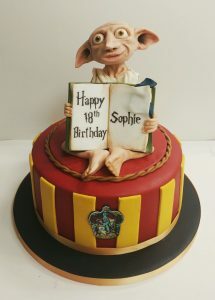 Harry Potter movie-themed parties and cakes are popular, while Alice in Wonderland tea parties are also a platform for a crazy display of cakes and an opportunity for delightful costumes. For kids, how about the kooky Minions in Despicable Me, the star of a children’s favourite, The Gruffalo, or the lovable Kung Fu Panda. 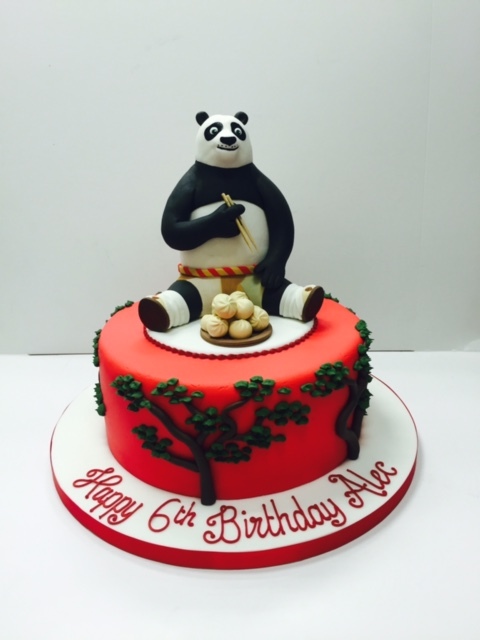 Po, the lovable panda character in Kung Fu Panda has his dreams of being a martial-arts expert turned into a reality in the touching adventure animation, so why not turn your little loved ones favourite film into a cake-form reality too. Whatever your favourite film is, having a film-themed celebration party is a great idea. If you have a favourite film, but aren’t sure how to translate that into a themed party, let us do the hard work for you. 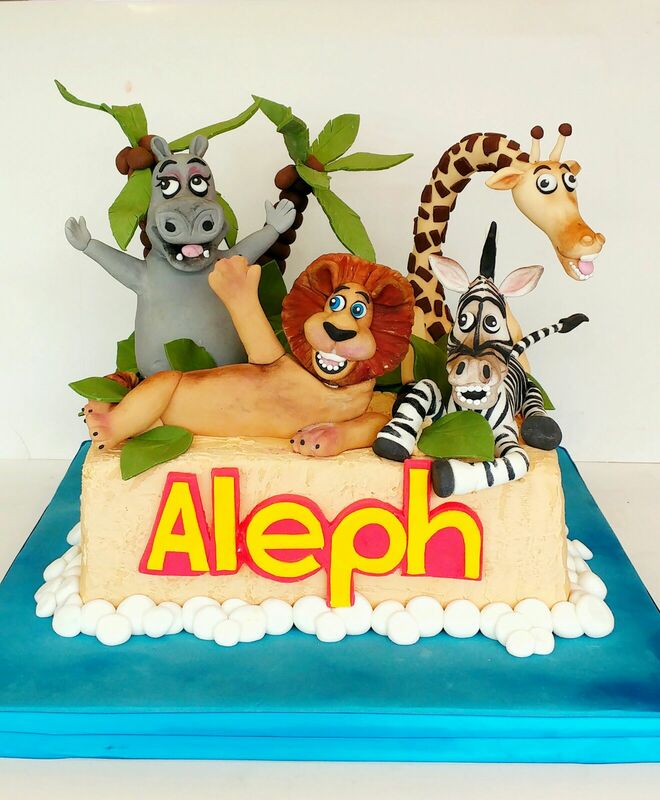 We’ll help you come up with an idea for the cake, and we have lots of extras to make your film-themed celebration a rip-roaring success. No-one does bespoke like we do. Our unique custom-made creations will have a lasting impression. There are no limits to the options we can offer for your dessert table from elaborate cookies and delightful bite sized cake pops to marvellous cupcakes and dainty macaroons, all handmade and decorated to fit your theme, and topped off with a beautifully crafted cake as a centrepiece. 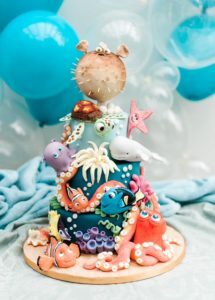 From the serious film buff to whimsical film followers with a fad film of the moment, there’s no-one our film-themed celebration cakes could fail to impress. 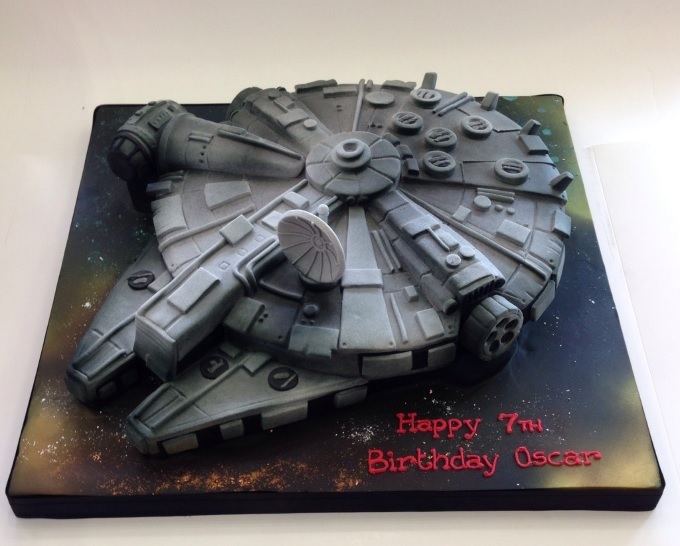 So get your thinking cap on, what would your favourite film-themed cake be?